When I tell my children I have joined a Board, they make fun of me - they say, ‘is it to get bored!'. Well, it is too late now, I have taken the dip, so here's my (hopefully) not so boring story! The MLA is the Museums, Libraries and Archives Council , a strategic body for the sector, giving advice, setting best practice guidelines and standards, and also providing leadership tools and support. I had previously come into contact with the MLA Board and its activities, and was very impressed by its goals and ambitions - they had given their precious time to go on a Diverse Ethics Culture Tour of London, and enjoyed it very much. 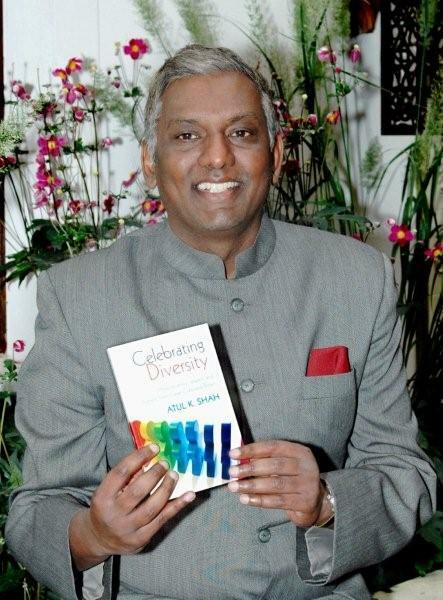 In November 2009, Subnum Hariff and I were formally interviewed and appointed on its first Board secondment scheme, as Non-Executive Directors for the calendar year 2010. The Chairman of the Board is Sir Andrew Motion, and the Chief Executive is Mr. Roy Clare, CBE - both of whom are major champions of diversity. This is an excellent scheme as it gives me mentoring and support, and a chance to understand the Board and see how it works. I have already had a fantastic two day orientation at their head offices about the work of the MLA. My mentor on the Board is Yinnon Ezra who is also a trustee of the Heritage Lottery Fund. My buddy on the staff is Isabel Wilson - a most helpful and creative soul. Being a board member is not a full time role, but oddly, I think about this work every day. The board is excellent at communication, so I get at least one email a day about something or the other - decisions taken by the Executive Board, press coverage about the sector, new reports which have been published, etc. I have been very active in my Jain community all my life, and am passionate about public service. I have also led and created many institutions from scratch. I also have professional qualifications, and have worked in large professional organisations of international fame. I am on the National Council of Faith & Belief in Further Education, and this has given me very valuable training in the operation of advisory Councils. However, I have never been at the nub of a large professional charity or public body, well endowed to provide a skilled service with skilled professional staff, helping shape its thinking and strategy. Here is my golden opportunity. This Board opportunity is the first time that I am able to combine both, my interest and experience in public service, with my professional expertise, at a senior leadership level in a national body. At the same time, I see a lot of enthusiasm in my appointment - there is a genuine desire to seek my expertise and listen to my views and perspectives. I was really overwhelmed that so early on, my suggestion to have a Board meeting at the Jain temple complex in London during the Ayambil Festival was accepted - they are going to come to ‘my' culture and community, to discuss matters of national strategy for the sector. This is a huge symbolic gesture of the MLA's commitment to diversity and will also really inspire members of the Jain community and help start a bridge. Initially, the task of joining a Board is daunting. A lot of homework needs to be done to familiarise oneself with the new organisation, its core activities and its goals and aspirations. I was fortunate that in the design of this secondment scheme, there were two days of orientation organised by Isabel where I met key staff and visited some Museums, Libraries and Archives in Birmingham, where the Board is based. This was really helpful indeed. Then when I got the first set of papers for the Board meeting, I was able to understand the jargon and relate to the critical concerns and issues. It still did take a long time to read and re-read them to get a sense of the priorities and strategies. I have just had my first Board meeting, and must say that everyone was very welcoming and hospitable, there was another small orientation and introduction session to the Executive Board and the Chairman in the morning, and a chance to meet the other new recruits and observers. At lunch, we had an opportunity to socialise with the new Board. My mentor Yinnon Ezra has kindly invited me to Winchester, where he is head of Cultural Services for the County Council and will also organise a guided tour for me to visit local museums and libraries. A treat indeed! Subnum has also very kindly invited me to Bolton where she is a Manager in Library and Youth services. Personally, when I see advertisements for Board opportunities, so many of them start with the requirement that one needs to have significant senior management experience, and this is usually a killer for ethnic professionals, because in the UK, we rarely have this opportunity because of the glass ceilings. However, in truth, this is not what is required - more an awareness and appreciation of the context of large organisations, and their methods of operation. Also a little self-confidence and self-belief in questioning a large professional group helps. An educated professional, given the commitment and dedication and the proper initial orientation, can pick this up very quickly. Then they can make a real and diverse contribution. The Executive Board are steeped in their day to day work and targets and priorities. It is therefore not easy for them to have overviews, and also see similarities in their problems with other sectors or wider public agendas. As non-executives, we are distant from the day to day, and therefore can see the same problem with fresh eyes and also bring new perspectives. It is not about being more or less intelligent - it is about being different. And coming from a different culture also helps enhance this difference, and also the potential quality of your contribution. As public citizens, we use public services all the time, and have grassroots experience as users. This perspective is very important because ultimately, all public services are aimed at the public and need to fulfil their needs and aspirations. So do express these views in the Boardroom as it helps give checks and balances to the work. It should also mean that the challenges should help the organisation and its achievements become more robust in the long run. Good boards should welcome challenge and critique, otherwise, for the Executives, it is like a ritual with not much meaning and the public duty of stewardship is actually betrayed if this is not done. I am fortunate that the MLA welcomes our input and is open and welcoming to challenge. Too few Boards today are open to criticism. This is why the private sector especially is so poor at ethnic diversity - they do not want difference at the top. I also see a very large learning opportunity ahead - of how Board's work, the critical issues facing the sector, and how the MLA can reach out into various ethnic communities throughout the country. It will take up more of my time, and already individual staff and executives are seeking my guidance, which I am happy to provide. I think that Britain has a great public service culture and profession, and there is much that diverse peoples who themselves have strong public values, can learn from and contribute to. Joining a Board is a small step to a Big Opportunity for personal growth and development, and for building bridges between ethnic communities and the public sector in Britain. I owe a huge debt to Common Purpose and About Time for helping me onto this path, by carrying me on their shoulders and showing the map and directions - people like Rajinder Bhuhi, Adirupa Sengupta, Julia Middleton (founder) and Amy Ritman are angels who open new channels of light and wisdom. I encourage everyone to Go for it and Grow through it, hopefully helping make this world a little better than when we found it. This morning at breakfast, my eleven year old son was most curious about my first Board meeting - so what exactly did I do, what was my experience like, and who did I meet. Maybe he is already preparing to get on Board..... Any takers for eleven year-old board members!